As the world's youth population continues to grow and interact globally in an instant through blogging, texting, and social networking, youth ministry is adapting in equal fashion. Authors Terry Linhart and David Livermore offer advice that's substantiated by more than twenty prominent worldwide youth leaders: be prepared. 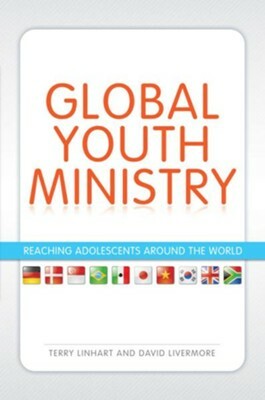 Global Youth Ministry is the first textbook to recognize the phenomenon of global youth ministry and to coordinate leading youth ministry voices in a discussion of the theological, theoretical, sociocultural, and historical issues that shape ministries around the world. Traditionally, students of international youth ministries have had to wade through a range of sources, perspectives, and agendas. This versatile text distills all that, and focuses on real-world experiences, challenges, and issues that are part of international ministries. This book is essential reading for undergraduate and graduate-level students and youth ministry leaders who have a heart for missions, social awareness and spiritual empathy, and a desire to serve young people around the world. I'm the author/artist and I want to review A World of Youth Ministry - eBook.